Awarded by World Travel as the best beach destination in Europe, Portugal has beaches for everyone, from golden sands to turquoise warm waters, classical charm and secret getaways. Year after year, Portugal is distinguished for its prime beaches. Hundreds of beaches throughout the country are awarded with “Blue Flag”, an international award given to beaches that meet excellence in the areas of safety, cleanliness, amenities, and environmental standards. 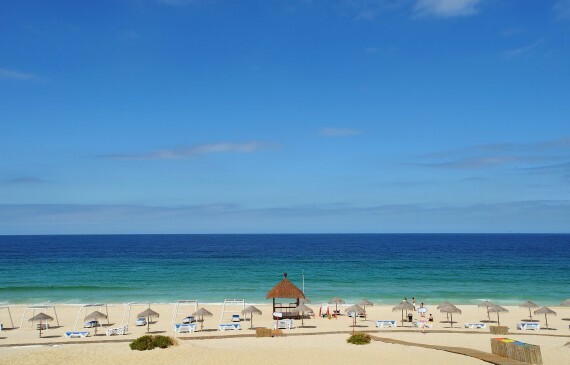 With plenty of beachfront and walking-distance accommodations, the breath taking Portuguese beaches are visited by millions of locals and tourists every year. Ornamented with a vast stretch of soft sand and splendid crystal green seas, the stunning Portuguese coastline offers amazing, varied and beautiful beaches and there is probably a Portugal Property waiting for you..
To the south you may find long extensive beaches of fine sand and shallow water. There are three main areas in the Algarve, referred to as Western Algarve, Eastern Algarve and Central Algarve, each one with its own particular characteristics. Central Algarve is the most cosmopolitan and vibrant region with many Properties for sale. Within Central Algarve, we can find more touristic and famous villages and towns such as Albufeira and Vilamoura. Internationally renowned for its friendly and genuine people, safety and spectacular beaches, the Central Algarve is a prominent tourist destination and is home to some very top pristine beaches: Praia da Falésia, Ilha de Faro and Praia da Galé. The wonderful beaches, marines and the fantastic nighttime ambiance, with the best and most fashionable clubs constitute some of the main attractions that drive visitors from around the world. This idyllic area, where marvelous facilities, outstanding landscapes and paradisiacal properties, can be found on every corner, is on everyone’s wish list. 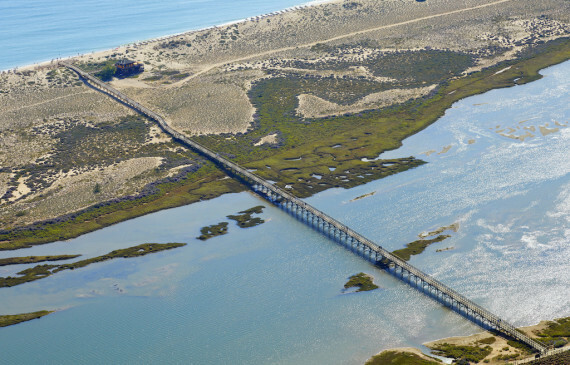 The Eastern Algarve region is known for the smooth sand and warm calm waters. 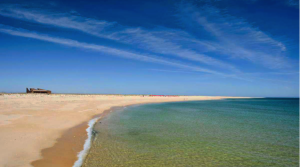 Some of the most famous beaches are: Ilha de Tavira, Praia do Barril, Praia da Armona and Praia Verde. Great to relax, sunbathe and enjoy long days in the sunshine. All the beaches between Sagres and Albufeira are part of the Western Algarve region. This region offers a wide array of beautiful rocky beaches and cliffs, ideal to enjoy with family and friends. During winter these beaches are world-famous surfing spots, real magnets that lure generations of surfers and travellers from all over the globe. 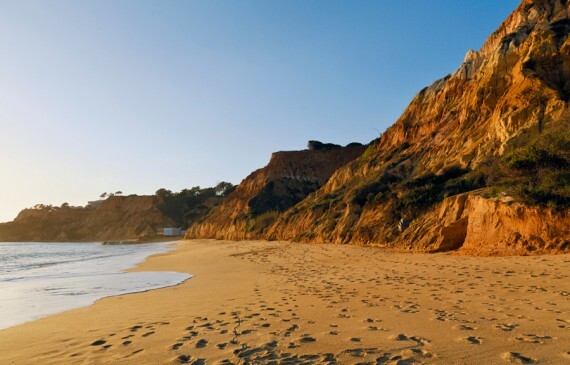 The most popular beaches in the Western Algarve region are: Meia Praia, Praia da Rocha, Praia da Luz, Praia do Burgau, Praia do Martinha and Praia da Bordeira. Another paradise for sand and water worshippers is the Estoril Coast or Linha de Cascais, located between Lisbon and Cascais. The capital’s coastline offers glistening small beaches, crystal waters and a varied choice of dining and entertainment venues, all on a series of terraces overlooking the sea and Lisbon at a distance. Visit some of the best beaches on the coastline, all of which are easily accessible by public transport from the capital: Guincho, S. Pedro do Estoril, Avencas, Praia da Torre, Praia do Tamariz. Portugal’s beaches are popular for their high standards, crystal transparent waters and pleasant temperatures. Varied and diverse, Portuguese beaches are the picture of tranquility and serenity, offering something for everyone. Considered a real jewel for summer enthusiasts, the Portuguese beaches are cherished by most and enjoyed by all.